Galit Avraham felt a stabbing pain behind her eye every time she laughed. A CT scan showed that the pain was caused by a brain aneurysm. Galit Avraham, 46, felt a stabbing pain behind her eye every time she laughed. A CT scan showed that the pain was caused by a brain aneurysm. 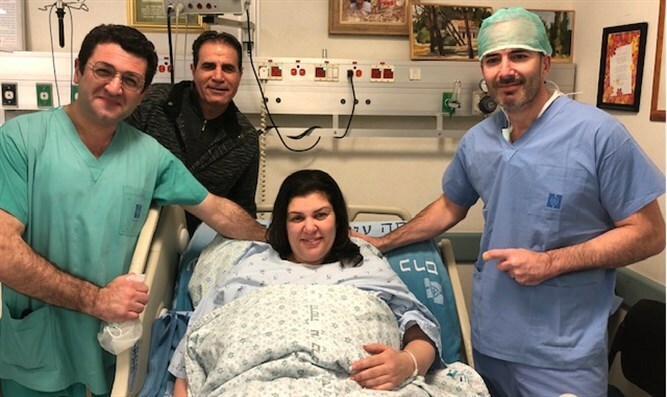 From her home in Be'er Sheva, Avraham rushed to Hadassah Ein Kerem where Prof. Jose Cohen performed a cerebral catheterization to seal the aneurysm that threatened Avraham's life. "Every time she laughed, the aneurysm grew and put pressure on the nearby vessels," said Prof. Cohen. "Every time she laughed, the chance of her bleeding out increased. Fifty percent of similar cases end in death. Avaraham arrived at Hadassah at the last possible moment and we were able to save her." Said Tzadok Avraham, Galit's husband, "My wife is a positive person who loves to laugh and does so wholeheartedly. But her pain and dizziness were so bad, that I asked her to stop laughing." "Now that the procedure is behind me, I can go back to laughing without pain," said Avraham. "If Prof. Cohen is calm, I know that I am fine. Thank you Hadassah for giving me my laugh back."